In this age of increased technological dependence in everything from business, to educational and social environments, the need to compile and keep track of large amounts of electronic data is always increasing. Whether you’re a student downloading e-books, writing papers, and recording lectures on a laptop, a business employee managing company documents and coordinating digital communication, or simply a socially active Internet enthusiast, chances are your computer equipment is full to bursting with various types of documents. So, how do you manage it all? Depending on the volume and significance of your files, storage and management might be simple. However, if you reach a point at which you require either a more secure method of storage and backup, or simply more space, you’ll need to explore new methods of file storage. Here are four to consider. USB storage remains one of the simplest and most convenient means of storing excess files, either for the sake of accommodation or backup. USB storage devices are available in varying sizes, with some serving needs for just a few files, and others being able to backup enormous amounts of data. It’s always a good idea to have a USB on hand with backups of your most important files – the only danger is that it’s not too tough to lose the USB devices themselves! Cloud computing is one of the hottest topics in technology, and is available from a range of providers, from massive tech companies, to niche providers like Sharefile. Cloud computing offers various benefits, but for backing up and storing excess data, it offers a very unique solution. Basically, you can digitally save any file you wish to your cloud, at which point it will be accessible from any device with Internet capability. Think of it as a USB drive that exists only in digital form. If you want a more permanent, and more capable solution than a USB, an external hard drive can be a great idea. A strong enough hard drive can essentially hold as much data as your computer can on its own, meaning that you can either enjoy total backup, or store a massive range of extra files. 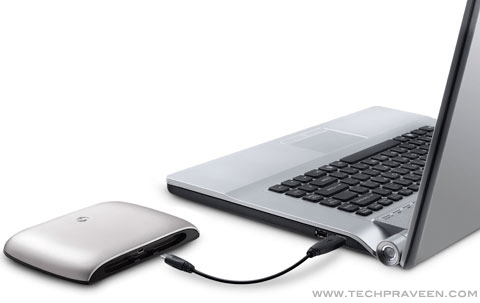 For example, some use external hard drives for personal files, and computers for work or school files. Finally, if you’d rather not purchase a means of digital backup, one simple, makeshift version of cloud storage remains available: email! If you only need backup occasionally, and your computer needs and uses are limited, you can simply email important files to yourself when necessary, ensuring that you can access them through email even if your computer fails you. This is not necessarily the most secure or convenient means of file backup or storage, but it does work for the occasional need. Thanks for the tips i use to prefer external hard drive to save as backup.